Deportees Shackled From US To Ghana? The sixty three (63) Ghanaians deported from the US to Ghana were inhumanely transported back home on Wednesday 14th June 2017. The deportees reported that they were kept in shackles/chains and hand cuffs on the plane to Kotoka International Airport in Accra. Whether their deportation was right or not, reports that they were chained and hand cuffed like animals, and even denied water and food throughout the entire journey from the US to Ghana is rather very alarming because it sounds cruel and degrading; and against International Human Rights Law. We need to know what really happened. Are these mere allegations or not? What really happened on the plane? Were the deportees actually shackled? If yes, were they being violent and therefore posing threats to other passengers on the plane for which they had to be restrained? These are questions that need urgent answers. Whatever the answers, no human being deserved to be treated inhumanely whether they’ve done something wrong or not. We condemn illegal migrations but we must not condone torture or degrading treatment of our fellow citizens. Authorities must always keep in mind that Article 5 of the Universal Declaration of Human Rights which PROHIBITS Cruel, inhuman and degrading treatment of persons, applies to everyone without any distinctions. This particular human right is absolute. It has no conditions attached! Which means its violation can never be right. Many Ghanaians are rightly expressing outrage and deep concern about the situation. And, are unhappy about the broader picture of how African’s are consistently ill-treated outside the continent as if they are lesser humans. Why does this keep happening? Is it the failure of our leaders to defend and protect our rights or is it our inability to hold ourselves in high esteem and defend our human rights? Let’s talk about these issues. The state of the elderly in Ghana today is one of voicelessness, neglect and vulnerability as the traditional support system that used to cater for them is almost non-existent – with no reliable alternatives. I think it’s about time we develop a public care system with a pool of support workers and volunteers to take care of the aged in Ghana. It is simply not fair to a group of people who have contributed immensely to the development of the nation in their youth to be abandoned to their fate and to a life of indignity in old age. According to the Universal Declaration of Human Rights, everyone has the right to economic & social security in the event of old age (UDHR Art 25) – but that unfortunately is not the case for many aged Ghanaian men and women. Today many of our aged population are abandoned in their vulnerable state, basically living on their own, with no family or public support. In the absence of much needed public support system, the traditional support system used to give needed assistance in terms of care, financial support and many others to vulnerable aged persons but that is almost non-existent in recent times, as the traditional extended family support system is no longer available to many. With the break own of the extended family system, the traditional support system is also disappearing fast. This means there is no more help for our vulnerable old men and women. It is not right that old people are neglected in this country to a life of indignity. Government, as well as the private sector need to provide care homes for the aged in Ghana, and we need to start training professional carers to take care of the elderly in the Ghanaian society – this issue is now a matter of necessity!! Make Safe Water Available To All In Ghana! Today is World Water Day! The day (22nd March) was instituted in 1993 by the United Nations General Assembly, to focus on taking action to tackle the world’s water crisis. 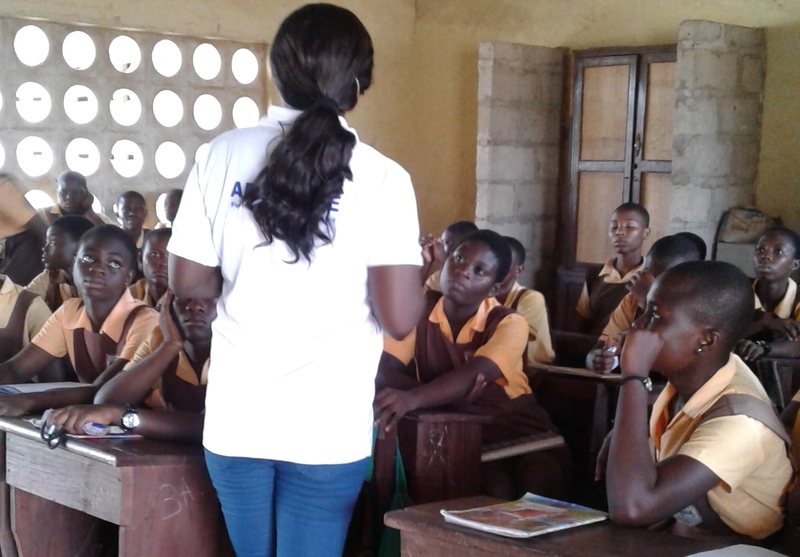 As part of world water day celebration, Stand Ghana is focusing attention on the plight of millions of Ghanaians who still lack access to clean, safe and affordable water – particularly women and girls whose traditional duty it is in Ghana to go out looking for water for the family every single day. The reality is that too many people still do not have access to safe water in Ghana even though it is a human right. Others have to walk very long distances to get access, and a great many others are getting access at an alarmingly high financial cost. In July 2010, The United Nations General Assembly, by Resolution A/RES/64/292, recognized water and sanitation as a fundamental human right. By this, water is supposed to be accessible and affordable, and must not cost more than 3% of household income. This means that having access to safe, clean and affordable water for drinking and domestic activities is everyone’s basic human right and must be treated as such. 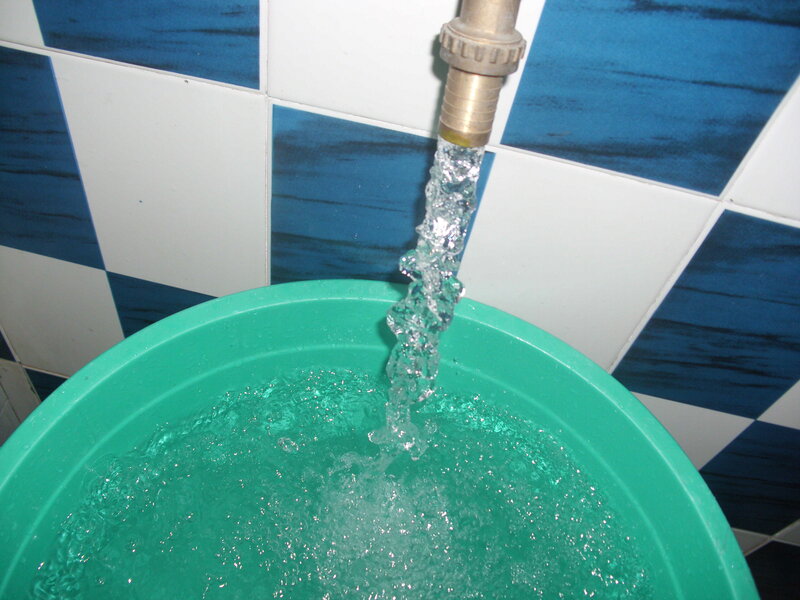 Here in Ghana, available statistics on water indicate 40% of Ghanaians lack access to safe drinking water, whilst 50% of rural dwellers currently rely on unsafe water for drinking and other household activities. Given the fact that water is life, this statistics is worrying and unacceptable. According to The UN Sustainable Development Goals, launched in 2015, everyone in the world must have access to safe water by the year 2030. The big question is, is this SDG target really achievable? Well, only if the right steps are taken fast. 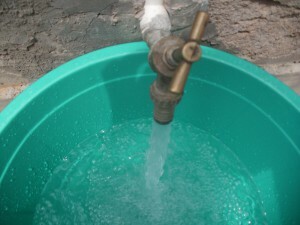 Government – both local and national and other stake holders urgently need to step up on provision of better water infrastructure for adequate supply and distribution of safe, clean water at affordable prices to every community and home in Ghana so that this particular human right can be made real in the lives of every Ghanaian. 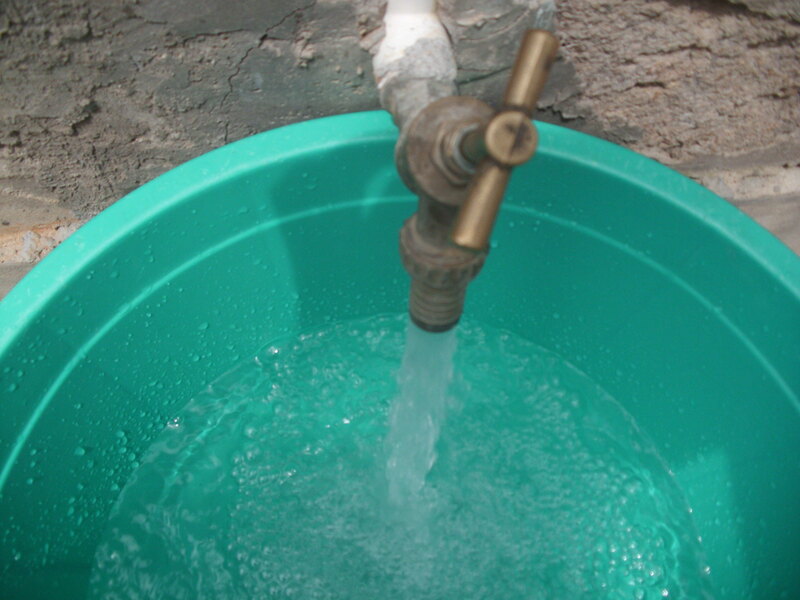 Access to safe clean water for drinking and household use is now recognized and established as a Basic Human Right, thanks to the United Nation’s Resolution A/RES/64/292 on human right to water and sanitation. Following the establishment of water as a basic human right by the United Nations General Assembly on 28 July 2010, states, including Ghana, are charged to make this human right real in the day to day lives of their people. The resolution notes, and rightly so, that the human right to water is crucial to life and for the full enjoyment of all other human rights. This is a very welcoming development because all people need water, everyone drinks water daily, and everyone, in particular women and girls living in poorer communities would benefit immensely from the realization of the human right to clean, safe water. Stand Ghana highly hails and endorses the creation of this new human right by the UN General Assembly – it is long over due! We agree with the developers of this all important human right in the sense that water is indisputably very essential for the sustenance of human life; and that if effectively implemented in Ghana, it would help immensely in improving health and quality of life in every Ghanaian community. We therefore call on the government to provide more water facilities and to ensure the availability of adequate, clean and safe water for the people of Ghana as stipulated by the content of this resolution. We also call on the media and other stakeholders to aggressively promote this human right and impress upon government to swiftly honour its obligations to the people. • Everyone, everywhere, at all times is entitled to the full range of human rights. • Together, we must demand what should be guaranteed: our human rights, universal, indivisible, inalienable, for everyone, 365 days a year. • Work to promote respect of human rights and fundamental freedoms. • Work to promote education about and for human rights. • While women’s political representation is increasing in all regions, women still hold only 16% of parliamentary seats worldwide. (United Nations Development Fund for Women). In Ghana, women currently hold a mere 30 seats out of a total of 275 seats. • All are equal before the law and are entitled without any discrimination to equal protection of the law. All are entitled to equal protection against any discrimination in violation of this Declaration and against any incitement to such discrimination. • Everyone has the right to an effective remedy by the competent national tribunals for acts violating the fundamental rights granted him by the constitution or by law. • No one shall be subjected to arbitrary arrest, detention or exile. • Everyone is entitled in full equality to a fair and public hearing by an independent and impartial tribunal, in the determination of his rights and obligations and of any criminal charge against him. • (1) Everyone charged with a penal offence has the right to be presumed innocent until proved guilty according to law in a public trial at which he has had all the guarantees necessary for his defence. • (2) No one shall be held guilty of any penal offence on account of any act or omission which did not constitute a penal offence, under national or international law, at the time when it was committed. Nor shall a heavier penalty be imposed than the one that was applicable at the time the penal offence was committed. • (1) Everyone has the right to freedom of movement and residence within the borders of each state. • (2) Everyone has the right to leave any country, including his own, and to return to his country. • (1) Everyone has the right to seek and to enjoy in other countries asylum from persecution. • (2) This right may not be invoked in the case of prosecutions genuinely arising from non-political crimes or from acts contrary to the purposes and principles of the United Nations. • (1) Everyone has the right to a nationality. • (2) No one shall be arbitrarily deprived of his nationality nor denied the right to change his nationality. • (1) Men and women of full age, without any limitation due to race, nationality or religion, have the right to marry and to found a family. They are entitled to equal rights as to marriage, during marriage and at its dissolution. • (2) Marriage shall be entered into only with the free and full consent of the intending spouses. • (3) The family is the natural and fundamental group unit of society and is entitled to protection by society and the State. • (1) Everyone has the right to freedom of peaceful assembly and association. • (2) No one may be compelled to belong to an association. • (1) Everyone has the right to take part in the government of his country, directly or through freely chosen representatives. • (2) Everyone has the right of equal access to public service in his country. • (3) The will of the people shall be the basis of the authority of government; this will shall be expressed in periodic and genuine elections which shall be by universal and equal suffrage and shall be held by secret vote or by equivalent free voting procedures. • Everyone, as a member of society, has the right to social security and is entitled to realization, through national effort and international co-operation and in accordance with the organization and resources of each State, of the economic, social and cultural rights indispensable for his dignity and the free development of his personality. • (1) Everyone has the right to work, to free choice of employment, to just and favourable conditions of work and to protection against unemployment. • (2) Everyone, without any discrimination, has the right to equal pay for equal work. • (3) Everyone who works has the right to just and favourable remuneration ensuring for himself and his family an existence worthy of human dignity, and supplemented, if necessary, by other means of social protection. • (4) Everyone has the right to form and to join trade unions for the protection of his interests. • Everyone has the right to rest and leisure, including reasonable limitation of working hours and periodic holidays with pay. • (1) Everyone has the right freely to participate in the cultural life of the community, to enjoy the arts and to share in scientific advancement and its benefits. • (2) Everyone has the right to the protection of the moral and material interests resulting from any scientific, literary or artistic production of which he is the author. • Everyone is entitled to a social and international order in which the rights and freedoms set forth in this Declaration can be fully realized. • (1) Everyone has duties to the community in which alone the free and full development of his personality is possible. • (2) In the exercise of his rights and freedoms, everyone shall be subject only to such limitations as are determined by law solely for the purpose of securing due recognition and respect for the rights and freedoms of others and of meeting the just requirements of morality, public order and the general welfare in a democratic society. • (3) These rights and freedoms may in no case be exercised contrary to the purposes and principles of the United Nations. • Nothing in this Declaration may be interpreted as implying for any State, group or person any right to engage in any activity or to perform any act aimed at the destruction of any of the rights and freedoms set forth herein.